Co-founders Lisa Bradley and Cameron Cruse. The most exciting part of our deal with Mark Cuban is that he is donating back his distributions so we are able to pay our riveters more. 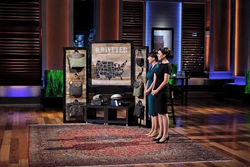 R. Riveter, an American-made handbag company that provides portable careers to military spouses, appeared on ABC’s “Shark Tank” this evening, among other veteran and military spouse-owned startups. R. Riveter co-founders Lisa Bradley and Cameron Cruse appeared in front of Sharks Mark Cuban, Daymond John, Kevin O'Leary, Lori Greiner, Barbara Corcoran & Robert Herjavec. Shark Mark Cuban, owner of the NBA Dallas Mavericks, film producer and author, made an offer of $100,000 for 20% equity stake. The appearance on “Shark Tank” gave the company a platform to draw attention to the journey and challenges a military spouse faces. 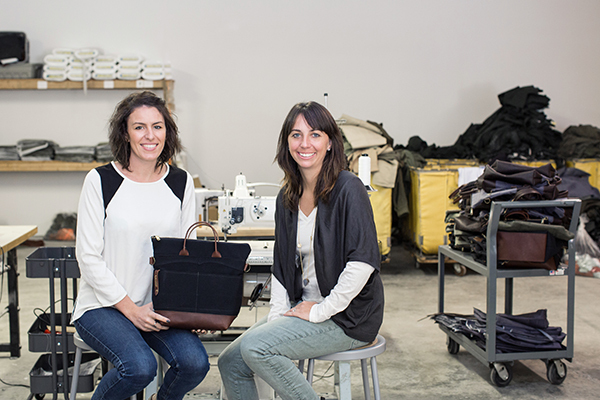 R. Riveter is hoping the exposure will translate into more military spouses joining the team, which will increase the company’s capacity to produce American handmade bags. R. Riveter began with two military spouses in a small attic and grew into a portable career opportunity, offering income for military spouses coast to coast. The women hand craft R. Riveter’s bags and accessories, keeping true to the brand’s mission to inspire, engage and empower. The results are high-quality, functional and classically beautiful handmade bags and purses for women who need their handbags to be as tough as them. R. Riveter bags are made from recycled military materials (such as duffle bags and wool blankets) and genuine leather with a riveter crafting the high-quality products from start to finish. With each bag being crafted by multiple hands, the company is asking customers to be patient and to continue to check rriveter.com for news and updates. What began as two Military Spouses in a small attic, armed with a big idea, one sewing machine and a little bit of canvas, has grown into a bold + achievable mission shared by many: to inspire, engage and empower. The R. Riveter movement captures the humble and courageous spirit of Rosie the Riveter and channels it into every American handmade product the company produces.